Some say he can make slot machines quake when he approaches, others that he can pick winning roulette numbers in his sleep. He is the Casino Veteran, and he could not wait to discover the best Christmas casino bonuses on offer. Do all online casinos offer Christmas bonuses? All British Casino always loves to get into the festive spirit, and this year is no different. 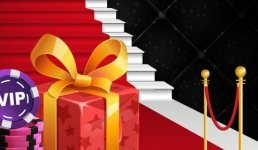 The casino is offering a grand total of 25 different Christmas casino bonuses through its All British Christmas Advent Calendar. As the windows on the casino’s Christmas Advent Calendar open, new promotions will become available. People playing online just need to follow Gonzo around the site as his festive frolics lead them safely across the snow-covered plains to their next offer. The Casino Veteran particularly likes that this casino’s offers include Free Spins on Christmas-themed slots, Cashback bonuses, Separate Deposit bonuses and extra rewards of between £250 and £500 on players’ wins. Check the Advent Calendar every day between the 1st and 25th of December. Offers run from 00.00 to 23.59, and then the next offer becomes available. Mr Green Casino is a favourite stop on the Casino Veteran’s Christmas party circuit, as it offers daily bonuses, Free Spins and Free Bets. For people who like to start celebrating Christmas early, this casino tends to start advertising its Christmas bonuses ahead of all the others. While some online casinos tout their 25-day promotions as they start opening the windows on their Christmas Advent Calendars, Mr Green offers a full 46 days of Christmas casino bonuses and prizes. Start playing by shaking the virtual snow globe to reveal the daily offer, then opt in to the offer and follow the instructions to claim that day’s prize or promotion. 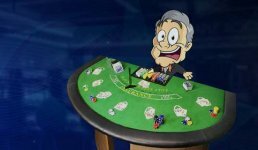 Mr Green has not announced all its promotions because Christmas is all about surprises but based on previous years and hints that it has dropped, players can expect anything from Free Spins to luxury holidays and Apple iPhones. Remember to read the details of each offer carefully and make sure to follow all the instructions to be in with a chance to win. Players have to opt in to each daily offer by shaking the snow globe. They can only join in with the celebrations if they have already played through their Welcome bonus, so those who are new to Mr Green should get playing quickly. The Casino Veteran also stopped by Leo Vegas Casino, as he had heard rumours of a Christmas bonus on offer over there. While there is nothing available yet for this year’s festive season, he will definitely be checking Leo Vegas out again soon, as it is known for its Christmas casino bonuses. In the past, he has seen the Christmas-themed Play Your Way to £100K promotion with lots of extra gifts to unwrap as part of the Christmas Tree Race. BetHard Casino likes to do things a little differently at Christmastime by featuring a Christmas quiz. Every day, players can answer a fun quiz question to get a chance to complete the Christmas Missions and earn rewards. Correctly answered questions double every reward that players can earn in the Christmas Daily Challenges. Keep in mind that some of the questions are harder than others. In the past, they have ranged from “In 2016, who was the fastest man in the world at the 100-metre sprint?” to “When is Christmas Eve?” so players really never know which kind of question that they are going to get. Voodoo Dreams is another casino to keep an eye on during the festive season. It also tends to run a Christmas Advent Calendar promotion with delightful daily offers to brighten up the festive season. 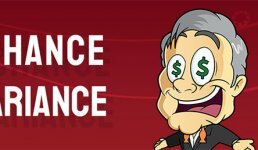 Daily offers include Free Spins, Deposit Match bonuses, wagering bonuses, prize draws and bundles of extra-special surprise bonuses. 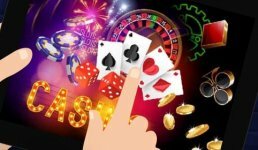 Players who admire the Casino Veteran’s expertise may be doing their own investigating around the online casinos looking for Christmas bonuses. Those who do should remember a few important tips. Casinos can be as tricky as a mischievous Christmas elf, so always check the terms and conditions of any bonus, prize draw or other Christmas promotion. Sometimes, these conditions will be easy to meet, such as playing through a previous bonus or making a minimum deposit. Those who take part in an Advent Calendar or 12 Days of Christmas promotion will probably have to log in to their accounts and perform a specific action each day in order to be eligible. As the Casino Veteran found during his own Christmas casino ventures, this might involve shaking the virtual snow globe or answering a question in a Christmas quiz. These tasks are not hard to do but are absolutely necessary to claim bonuses or prizes. Have fun this festive season, and the Casino Veteran wishes all online players a very Happy Christmas!